Earlier this week, the North Carolina Senate voted (35-13) in favor of HB406 Repeal of Orange County Impact Fees. This was the bill’s final step to becoming law. Being a local bill, the Governor does not need to sign it. This bill essentially outlaws Orange County’s ability to impose a school impact fee. House Speaker Pro Tem Sarah Stevens (R-Surry, Wilkes) introduced and sponsored the bill. Her support and persistence was key to getting this bill passed. Please email Rep. Stevens and thank her for supporting our industry and sponsoring this bill. The legislature gave Orange County the authority to impose these fees in 1987. Over the years, the fees have increased incrementally. The Orange County Commissioners voted in November 2016 to increase the fees over 500% from $1,286/unit to more than $8,000/unit on certain multifamily units. 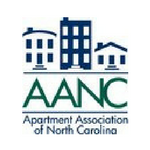 TAA and other partners such as the Homebuilders Association and Chapel Hill/Carrboro Chamber worked to minimize the increase and provide data to support our position. The Commissioners refused to engage in a conversation. HB406 has eliminated this fee to $0! If you’re in the real estate business, HB406 removes one of the most burdensome and costly regulations that we have had in the Triangle. This will significantly lower the cost of development in Orange County. If you’re a developer, you no longer have to pay school impact fees on your residential developments. This will save apartment developers millions of dollars for years to come. Orange County must pay for schools through property taxes and bonds, just as the other 98 counties. This is not a new concept in North Carolina. Orange and Chatham Counties are the only counties (out of 100) that had authority for these fees. Since Orange County already has the highest tax burden in the state, the County will be hard-pressed to raise taxes even higher given constituent concerns. It is imperative that we continue to introduce and support business-friendly legislation that benefits our members. Now has never been a better time to push our legislative agenda. If you like what we’ve done so far, please consider donating to our TAA-PAC and to the Triangle Government Alliance (TGA). The TAA-PAC is a vital tool we use in the local elections. We are able to use those funds to support candidates who agree with us and understand the industry’s issues. Personal funds must be used when donating to the TAA-PAC. Although, we are able to accept corporate funds for TGA, which is TAA’s Super PAC. HB406 is the beginning, but we need your help and involvement for us to continue to be effective. The Triangle needs to add 74,323 NEW apartment units by 2030 to merely keep up with demand. We must continue to step up and play an active role in the local politics and policy decisions. With over 7,000 members throughout Triangle who contribute billions of dollars to our local economy, TAA is ready and here to fight for you and YOUR industry. Remember, if we’re not at the table, we’re on the menu!